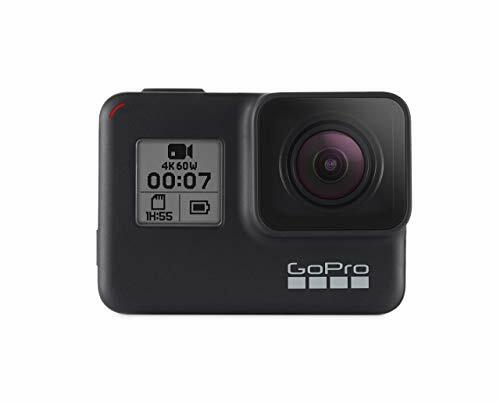 Similar to such brands such as Kleenex or Band-aid, the GoPro has been advertised so successfully that it has gradually become the generic name for all action cameras. Although the GoPro is widely used and extremely popular, that does not mean that it is the only action camera available today on the market. Its high prices and excellent reputation reel in droves of blind shoppers looking at nothing more than the name on a box. In reality, there are many GoPro Alternatives which compete with and even overtake the GoPro as being the best product for those wanting to film their life’s most adventurous of moments. 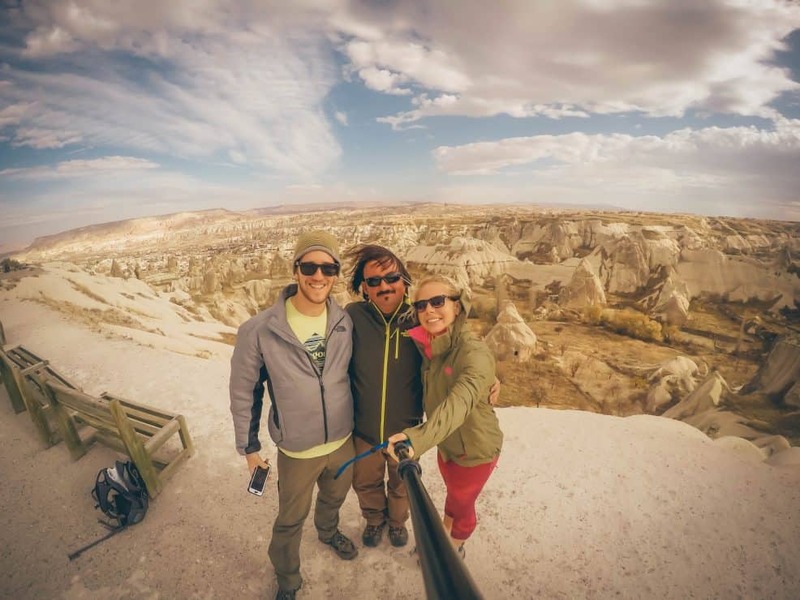 Regardless of which brand you choose to shoot with, an action camera is great if you wish to truly capture the action which takes place during one’s travels. It doesn’t matter if you are a casual videographer or an enthusiast, this is list compiles the best action cameras available today, for people of all skill levels and budgets. When first beginning to look at potential action cameras, one of the first technical terms you will see thrown around is “4K”, otherwise known as Ultra High Definition (UHD). The first question you need to ask yourself is whether you are willing to shell out hundreds of extra dollars to get the sharpest images possible. Most of the world still shoots in 1080p HD and this is still widely accepted by audiences. The question then comes down to what exactly determines a quality image for an action camera. Other than the resolution (such as 4k, 1080p, 720p, etc. ), it is important to look at a camera’s frames per second (fps), megapixels (mp), and stabilizer to make sure you always get a clear, sharp shot. There is also a number of manufacturers offering $40 action cameras online who cram cheap sensors in cameras then upscale the output for a questionable 1080p or 4k. 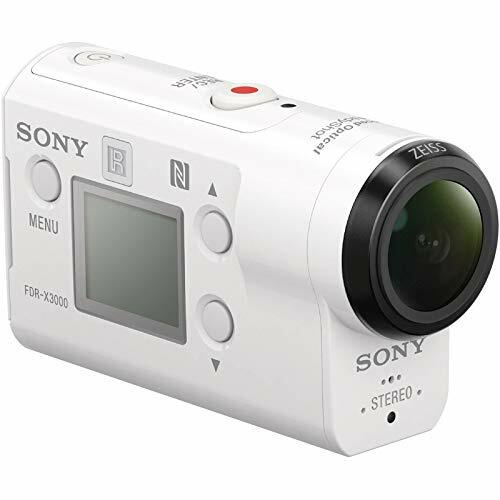 Action cameras are well known for being powerful, durable, pocket-sized camcorders which are used in some of the most extreme of elements and places. With so many features packed into such a small device, it is no wonder that this takes a toll on the overall battery life. If you are one who is planning on shooting hours of video in a single day, the battery life of an action camera is crucial. Not only should one consider the amount of time a camera can stay charged, but also if it is possible to either change or recharge batteries on the go, to make sure that you do miss a second of your adventures. Many of these action cameras will be strapped to the top of helmets, attached to the outside of a car, or ever taken under the sea. When shooting in such a diverse range of climates and locations, one needs to make sure that the camera will be able to survive in such extreme elements. The most testing of these elements is, of course, water. 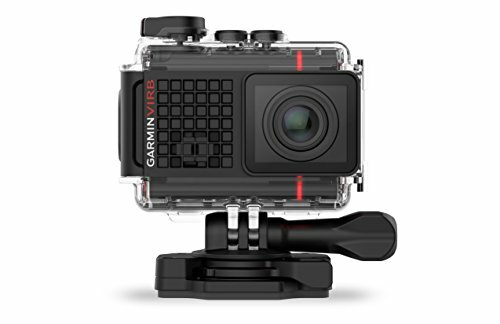 Many of these action cameras include waterproofing down to a certain depth, while others require an add-on attachment in order to withstand going under water. All of these factors must be taken into consideration before deciding on which action camera to purchase. With excellent battery life and nearly half the asking price of its competitors, Xiao Mi’s Yi 4k Plus is an excellent alternative to the more expensive GoPro Hero 7. This action camera not only shoots 60 fps while in 4k, but its image stabilizer is also able to function when using the camera’s highest definition. However, the Yi 4K Plus lacks a lot of the shooting modes offered with the GoPro Hero. Other than the limited number of unique features, this action camera also records fairly poor audio even with an external mic installed. In terms of image quality, the Yi 4K is the best budget option when compared with the GoPro, only stripped of some of the bells and whistles its competitor offers. 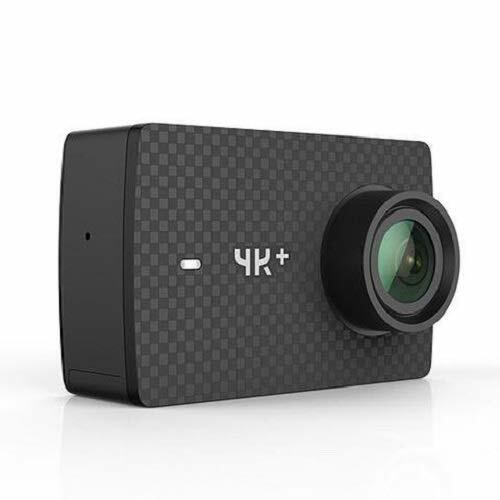 For its picture quality and low price, few action cameras can keep up with the Yi 4K Plus so it’s a great alternative to GoPro. For the true adventurer, the Olympus Tough TG-Tracker is the most durable action camera available. This camera alone is water, dust, and freezeproof, meaning that no matter the circumstances this Olympus model is ready to take a beating. As is the case with most high-end action cameras, the TG-Tracker can take 30fps while shooting in 4k. The camera is also equipped with a front LED headlight, a F2.0 lens, and a tilt out screen. While most action cameras boast about having a field of view of 170 degrees, the TG-Tracker goes up to a whopping 204 degrees. The only cons of the Olympus action camera are that the lens may even be a bit too wide and the complicated menu makes the angles difficult to adjust. 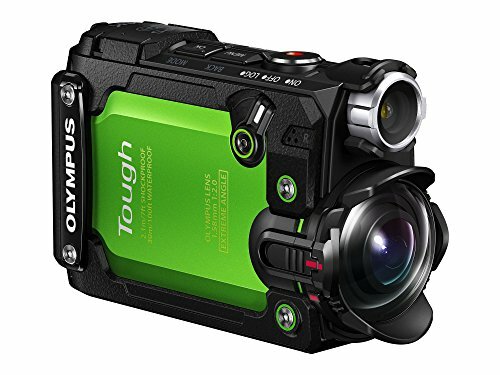 For the cost, durability, and functions which go into the Olympus Tough TG-Tracker, this action camera is sure to give any GoPro camera a run for their money. The Sony FDR X3000 reigns supreme for its highly sophisticated image stabilization. No matter how much you shake or rotate your camera, you will still come out with watchable footage. Hands down, this is one of the best action cameras money can buy when shooting video. When in 4k, the FDR X3000 provides crystal clear video and shoots up to 30fps. Its front-facing microphones also pick up excellent audio, which secures this action camera a place in our top ten list. Other than its video functions, the camera is also both freeze and waterproof. When paired with external casing, the FDR X3000 can even withstand depths up to 197 feet underwater. With such power, the X3000 does suffer from short battery life and a high price tag. Even though it is the ultimate video camera, it produces poor quality still photos. If you are solely looking for the best camera to shoot video, then look no further. The Sony FDR X3000 truly is the ultimate action camera for the job. Although expensive, this powerful action camera is on par with anything GoPro has to offer. With 4K resolution, a color touch screen, and voice command functionality, it is no wonder that many people are switching to Garmin. This action camera shoots at the high speed of 30 fps while in 4k, and up to the high speed of 120fps while in 1080p.The WIFI function allows users to connect their VIRB Ultra to their phone and can even live stream videos on Youtube. Although not waterproof, there are accessories which can be bought to allow the camera to shoot from depths as low as 131 feet below the surface. The Garmin, of course, comes with a few design flaws. Other than its extremely high asking price, the VIRB Ultra has a relatively short battery life and poor stabilization when shooting above 1080p. Even with a few issues, the powerful Garmin VIRB Ultra 30 competes with anything GoPro has on the market. 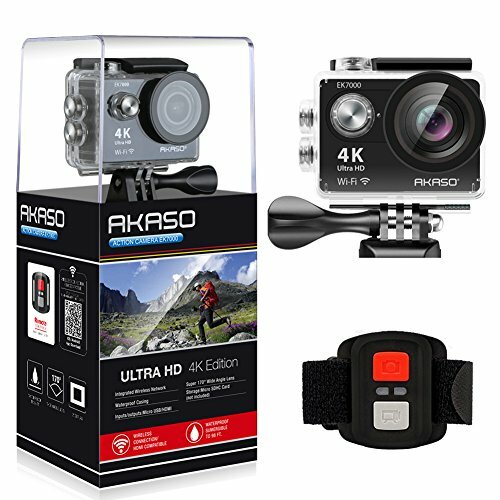 The Akaso V50 Pro is one of the most well-rounded action cameras available today. This camera can shoot up to 30 fps in 40k, offers WIFI connectivity, great stabilization, and is affordable for all kinds of users. What is unique about the Akaso V50 Pro is that it provides 4 different adjustable angles, ranging from narrow to super wide. When attached with a case, this action camera can also shoot in depths as low as 98 feet. The Akaso also has a few cons along with the pros. The audio quality is quite poor, but fortunately, it comes with an external mic input. The image quality also suffers when shooting in low light as well as in 4k. It is recommended that the user not use the camera any higher than 1080p for the best footage. 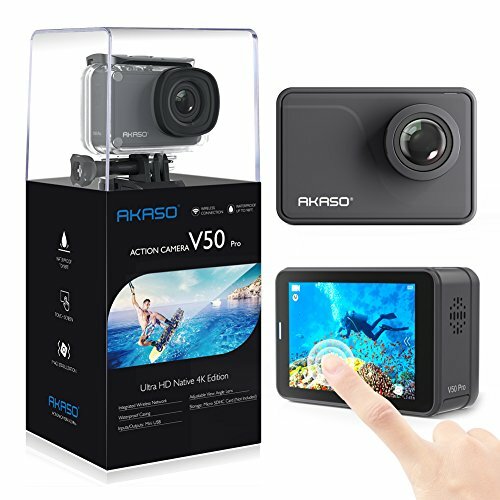 For its reasonable asking price, the Akaso V50 Pro is the perfect mid-range action camera, covering all the bases. For the more casual photographer or those on a tight budget, the waterproof Campark AC T74 truly gives you the most bang for your buck. Boasting 30fps while shooting in 4K, the Campark also has built-in WIFI, an extremely long battery life, and is a fraction of the price of any other action camera on the market. 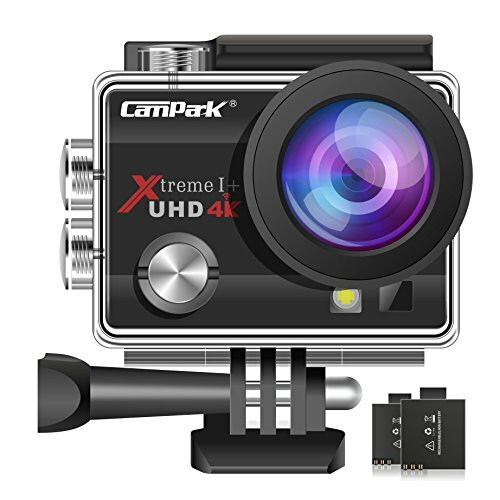 Unlike many other cameras, the Campark comes with a waterproof exterior which can withstand up to 98 feet under water. For such a low price, one has to expect a few flaws. While the Campark AC T74 comes with 4K capabilities, the quality is still quite poor. It should be advertised that the highest shooting quality is 1080p. The audio is also known for not being as clear and crisp as other cameras on the market. If you are looking for a great starter camera for a low price, then the Campark AC T74 is the perfect place to start. 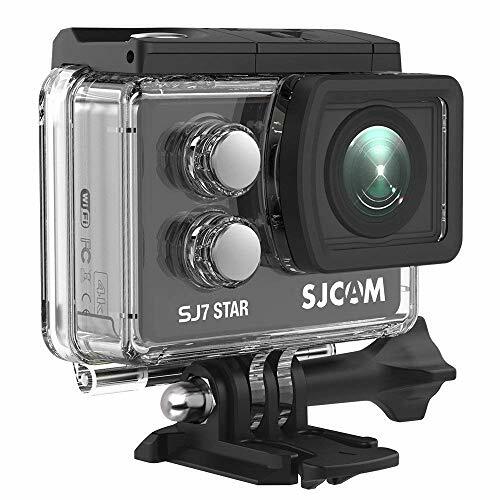 The SJCAM SJ7 Star is built with a metal body, making it one of the most durable action cameras available. Unlike the cheaper models, the SJ7 star is able to provide excellent-quality recordings while shooting in 4K. When compared to other action cameras, the SJ7 Star is priced relatively low, without sacrificing image quality. While it may not have the best image stabilization, it is still able to get you the shots you need. Like many other cameras, this action camera can go down to 100ft when equipped with waterproof housing. The major problem with the SJCAM is that it tends to run hot, which in turn affects its usually long battery life. Also, there is no tripod threading on the bottom of the camera, which is uncommon for most cameras nowadays. If you are able to deal with the overheating, the SJ7 Star provides the best image quality for the cheapest price. The older long-time fan favorite EK7000 is one of the most reliable as well as cheap action cameras one can buy. The inexpensive EK7000 only shoots 25fps while in 4k, but still maintains sharp crystal-clear picture. This AKASO model can be paired with an arsenal of accessories and can shoot in various modes such as burst and time-lapse. The negative aspect of the EK7000 is that it does not come with image stabilization, which is common with most newer models. The audio quality also suffers when equipped with a case. The number of people who own an EK7000 speaks volumes of how well received this action camera is. The AKASO EK7000 is praised for both its excellent picture quality and reasonable price. The moderately priced Crosstour action camera is a real contender with GoPro, with its outstanding image stabilization and moderate pricing. This action camera also comes with an adjustable lens ranging from narrow to wide. When used with a waterproof case, the Crosstour can withstand depths up to 98 feet. This action camera also comes with slow-motion and time-lapse features. The biggest drawback with the Crosstour is its inconvenient display, which relies on buttons rather than a touch-screen. 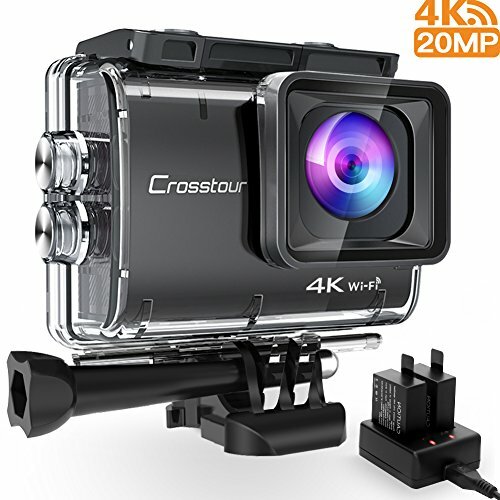 For the casual user or those looking for a cheap alternative to GoPro, the Crosstour should definitely be a contender. 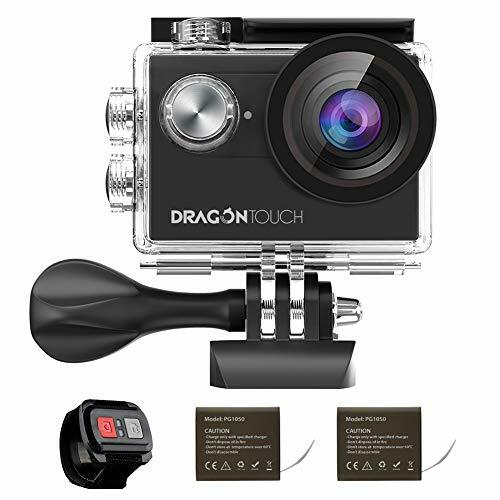 The Dragon Touch 4K is a budget, user-friendly action camera which works with a slew of accessories and even comes with an external microphone and remote control. The camera also shoots 30 fps in 4k, goes as low as 100 ft under water when equipped with a case, and offers many features such as car mode, time-lapse and slow motion. GoPro is still the best! The GoPro Hero 7 brings to market another great action camera from the company. Much like DJI and the drone market GoPro is leaps and bounds ahead of its competition in terms of quality, image, and features. What’s most amazing is the price point they have released the latest iteration previous high-end black models began retailing for around a hefty $500. However, the latest GoPro Hero7 Black retails for around $400. If you want to have the best action camera on the market than there is no question that you should purchase the GoPro instead of some alternative.